Six months in the making, the new Creative Mojo website is finally peeking it's head out from under the February snow to say hello. When we originally put plans on paper to launch the franchise side of our business way back in April 2017 we developed a website for a business that we thought may pick up a few franchisees along the way, but certainly not for the kind of business that Creative Mojo is today! And so because of this and as of time of writing we have 54 national franchises, it is a very appropriate time to launch a new website that will provide a much more professional approach to supporting a business of our size. 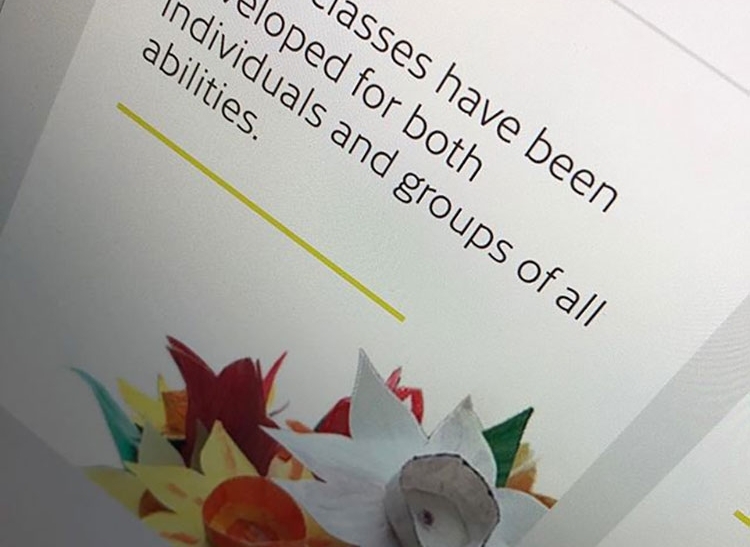 So the new site not only includes a lot more fantastic information, photos and videos about the fantastic classes that benefit thousands of residents across the UK every week, but also allows the establishments looking to add our sessions to their daily rostas a much easier way of doing this. We have now added our territory mapping tool as a core part of our site. This allows managers or activity co-ordinators to find a class nearby them in an incredibly simple way. A successful search will then display the appropriate franchisee that covers their area and provides a new expanded individual profile for all of our great Mojo representatives. As well as this fantastic new tool the site also provides plenty of information on the benefits of becoming a Mojo yourself and join the ever growing number of people across the UK in 2019. So we hope you enjoy using the site over the coming years! A big thanks to Paddy, John and Ash from Shake Creative for all their hard work behind the scenes.